The wearable tech industry is moving at breakneck speed, and each year we're being flooded with new devices, from fitness trackers to smartwatches to VR and AR headsets. But it's also a fledgling industry, and in many years time we'll look back at these heady days, filled with uncertainty and bold new ideas, and say things like "Wow, didn't VR look terrible" and "I can't believe I used to think that looked good on my wrist". Among the glut of wearable tech we reckon there are already some devices that deserve to be proudly displayed in the wearable hall of fame. These are the ones that will be remembered for years to come. Fitbit has almost become synonymous with fitness trackers thanks to getting in the game so early on, and the immense popularity that has followed. But while it's continued to improve with its wearables, it's the Fitbit Flex - its first device - that we think deserves Hall of Fame status. The original Flex was a simple device; it tracked steps and sleep, but instead of a using a proper display it communicated your progress through a line of LEDs. Basic, yes, but the Flex was incredibly popular, finding its way onto millions of wrists and laying the foundation for a company that's now considered the boss of fitness trackers. 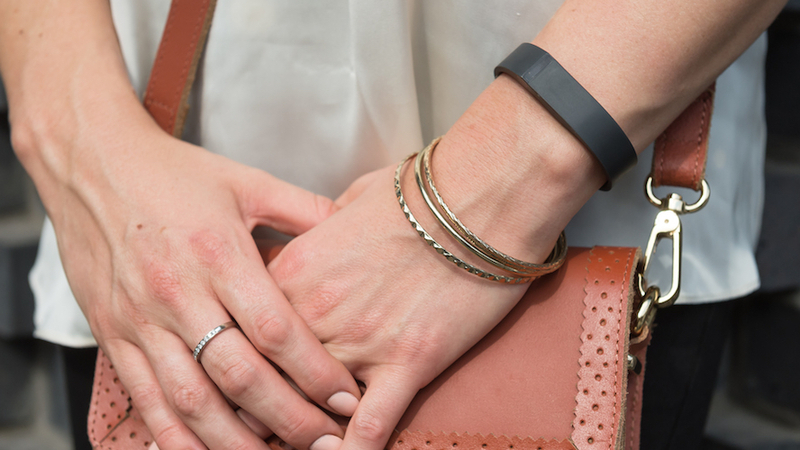 The Flex was Fitbit's first wrist wearable, in fact, having launched only clip-on trackers before then, and did very little compared to the ones we're using three years later. But in gamifying activity, letting us compete with others and ourselves on step and sleep tracking, Fitbit found a way to make fitness engaging, and helped start a bigger movement towards the quantified self. You might argue that the HTC Vive is the superior virtual reality system right now, but it's hard to disagree that Oculus is still the poster child for VR. When the Oculus Rift hit Kickstarter in 2012 virtual reality was still a dream consigned to the pages of science fiction. Sure, there had been attempts to get it off the ground, but Oculus would be the one to make it happen. It promised to "change the way [we] think about gaming forever", and that's exactly what it's done, spawning an entire new industry that's still relatively early in its story. Being bought by Facebook might have disgruntled some fans, but it helped Oculus realise its vision, and will no doubt help it achieve more great things in the future. Jump to today and the Rift has been through many iterations. While the consumer model is technically Oculus Rift 1.0, we will always have a special place in our hearts for that first development kit. Looks pretty ugly now, doesn't it? Pebble is hitting the history books faster than expected, after the company was bought by Fitbit in 2016. Sadly, we won't see another Pebble watch - Fitbit is only interested in using the software - but Pebble's smartwatches certainly won't be forgotten. The very first Pebble was to smartwatches what Oculus is to VR; the Kickstarter campaign launched when smartwatches were barely nascent, but it started something huge. Pebble proved that the smartwatch was a viable piece of technology, and while it stuck to its simple, geeky style through its iterations - which may be attributable to its downfall - Pebble is arguably responsible for smartwatches taking off when they did. Also, that cherry red watch has become an iconic sight. Nick Woodman wanted something that could capture his surfing expeditions, but there wasn't anything that offered what he wanted. So he made one himself: the GoPro Hero. The 35mm camera launched in 2004 and didn't even have batteries, being entirely mechanical. GoPro has since iterated and become the leading name in action cameras, but the original deserves to be remembered for how it important it was in pioneering this category. You couldn't have a wearable tech hall of fame without Google's famous/infamous face wearable. Developed by Google's hush-hush X lab, Glass was a fascinating device plagued with issues. The wearable could record video, throw up notifications and respond to voice commands. But people couldn't get over how ridiculous it looked, not to mention the eye-watering price tag and privacy concerns. Google pulled the device in 2015, and despite committing to a follow-up, we haven't seen anything since. Perhaps Glass's failure lay in the fact it was still a proof of concept; maybe it was just marketed badly. There are many things that likely contributed to the death of Glass, but its legacy will undoubtedly live on, for reasons good and bad. The Apple Watch deserves a place not because of what it does or what it looks like, but because it was Apple's first wearable. Surprisingly, the Apple Watch disappointed us in many ways: it wasn't (and still isn't, in some respects) the fitness titan we'd long been hoping for. But it had also been believed that Apple would be the one to take wearables, and particularly the smartwatch, "mainstream", and indeed the impact of Apple's grand entry shouldn't be underestimated. It may not have launched wearables into the stratosphere as hoped, but the first Apple Watch was a symbol that this category was ready for the big time, and has attracted many other companies into the fold. For that reason, Apple makes it onto our list.